I have a confession to make: I don’t really like pie crust. Perhaps because I’ve had a few too many soggy-bottomed, storebought crusts. I hate wasting food, but luckily there is usually a willing recipient nearby who will take my crust after I’ve scraped out my pie filling. More recently, I’ve learned that I like a good, homemade, all-butter pie crust just fine. Better yet, I love a good tart crust or shortbread crust. And perhaps best of all, I love a crisp, nutty galette crust baked with a crunchy layer of sugar on top. The good news is that galettes are meant to be rustic. So if a lattice design on a pie gives you anxiety, have no fear! 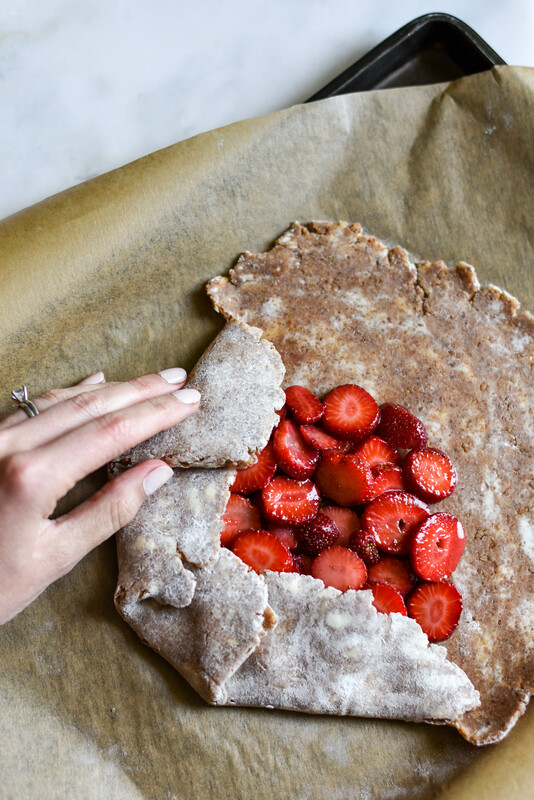 Here, pecans add extra flavor and texture to the easy, whole wheat crust. Other nuts, like hazelnuts or almonds, work just as well. The presentation is as easy as rolling the crust out and folding it over the edges of the filling. 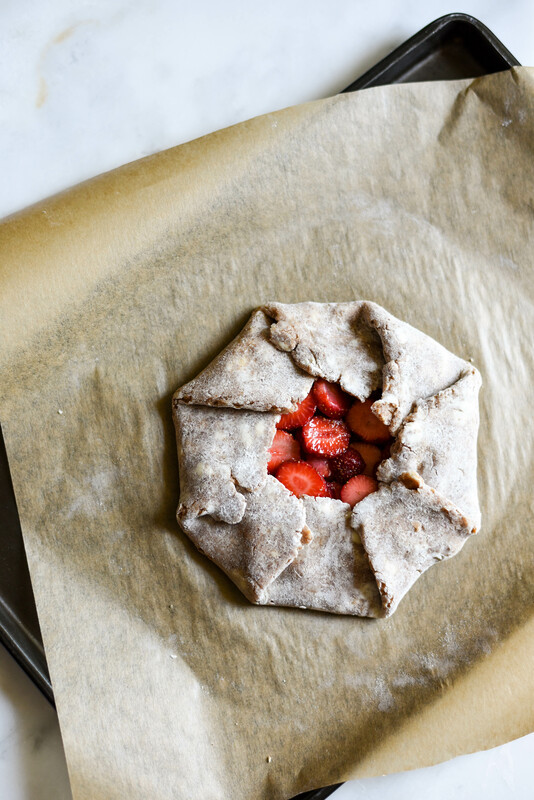 Starting in spring, I pile strawberries high in this crust. In summer, I mix in blueberries, blackberries, and raspberries, and then peaches, figs, or plums in late summer. 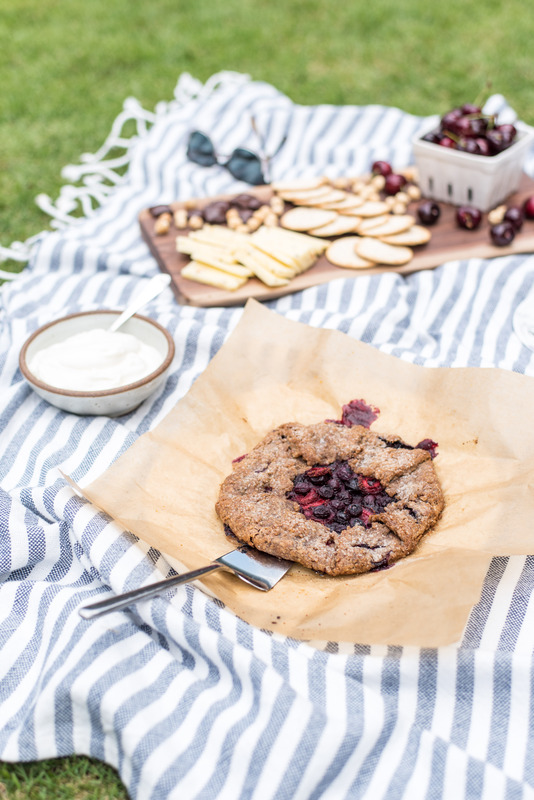 You can use any berries or stone fruit you have on hand. I like to keep the filling minimal so the fruit can shine, but a few scrapes of lemon zest or a sprinkle of fresh thyme can be nice additions. This recipe was adapted from Bon Appetit magazine, which suggests adding a bit of cinnamon to the crust. I like to make this crust recipe and halve the dough so I can bake two smaller galettes (as pictured). 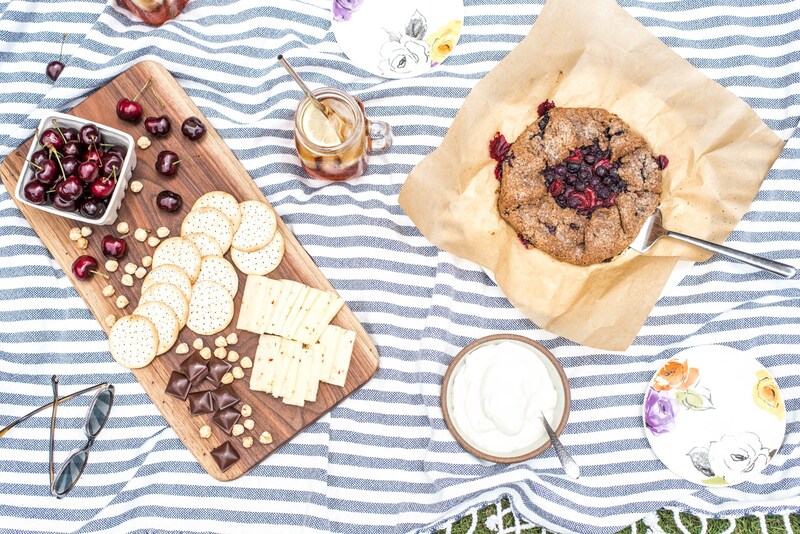 The half size is perfect for a little picnic or a treat with tea for 2-4 people. I wrap the other half of the dough and keep it in the freezer for an easy dessert when I’m tight on time later. Obviously, you can just make the whole thing all at once, too. Preheat oven to 350°F. 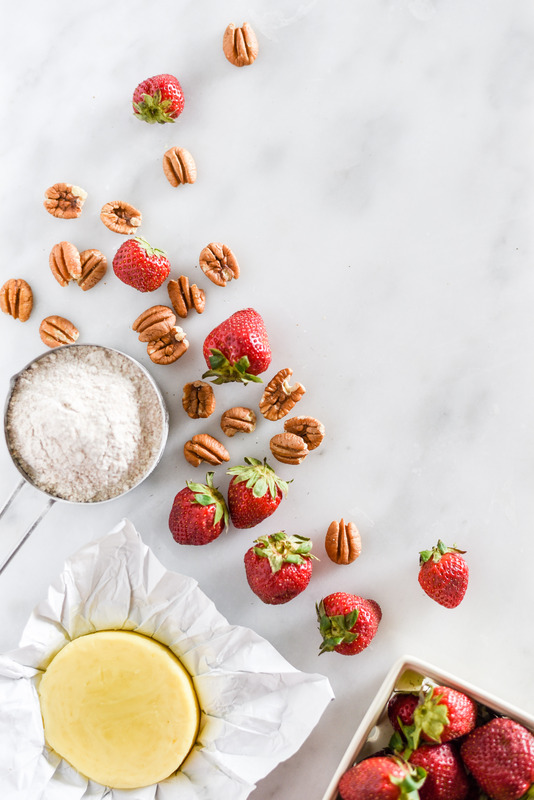 Spread pecans in a single layer on a baking sheet and toast for 6-10 minutes or until lightly browned and aromatic, tossing once halfway through. (Watch them closely because they can burn quickly!) Set aside to cool slightly. 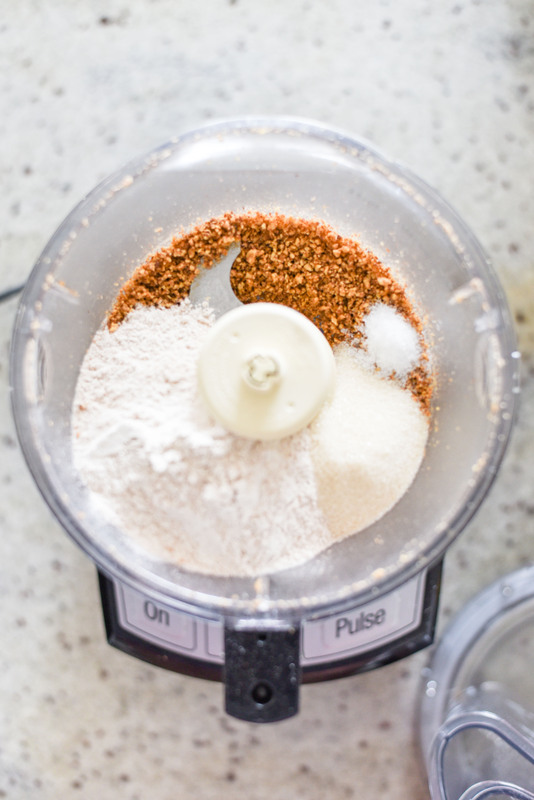 In a food processor, pulse cooled pecans into a coarse meal. Pulse in flour, sugar, and salt just until combined. Cut cold butter into pieces, then add to food processor. Pulse just until mixture looks like wet sand and butter is no bigger than pea-sized. Pour into a bowl and add ½ cup ice cold water. Stir until dough just comes together, adding more water as needed. Pat dough into a 1” thick disc (or two discs if you’re making smaller galettes) and wrap tightly in plastic wrap. Refrigerate at least 1 hour. Preheat oven to 375°F. In a bowl, toss together berries, cornstarch, and sugar. To prepare crust, unwrap chilled dough and place on lightly floured surface. Roll to ¼” thick, which should be about 12” round or two 8” rounds. Place rolled crust on a parchment-lined, rimmed baking sheet. Pile filling in center, leaving a 2” border of crust. 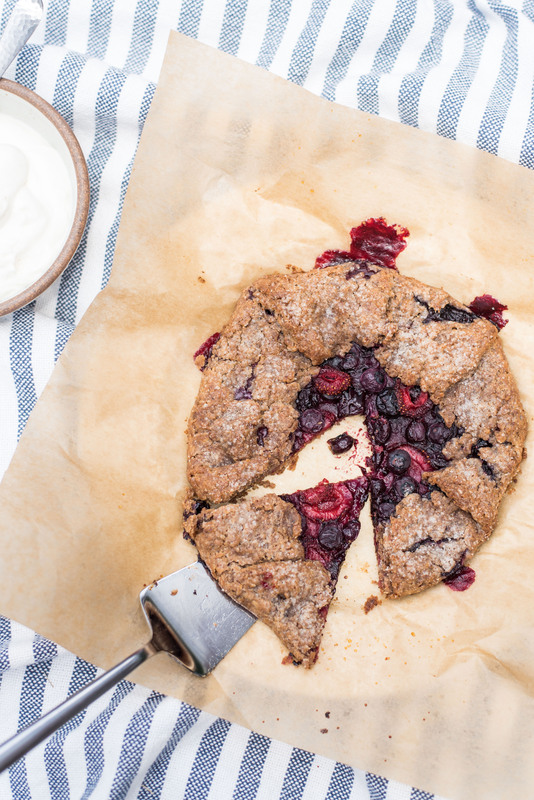 Gently fold exposed crust over berries, overlapping as necessary. Brush crust with egg wash or cream/milk, then sprinkle with coarse sugar. Bake at 375°F for about 45 minutes (35 for half size galettes), until filling is bubbling and crust is a deep golden brown. Serve warm or room temperature with whipped cream or ice cream (optional). Pecans can be toasted ahead of time, or you can buy dry-roasted, unsalted pecans to save a step. The crust can be made a few days in advance or kept in the freezer for at least a month if well wrapped. 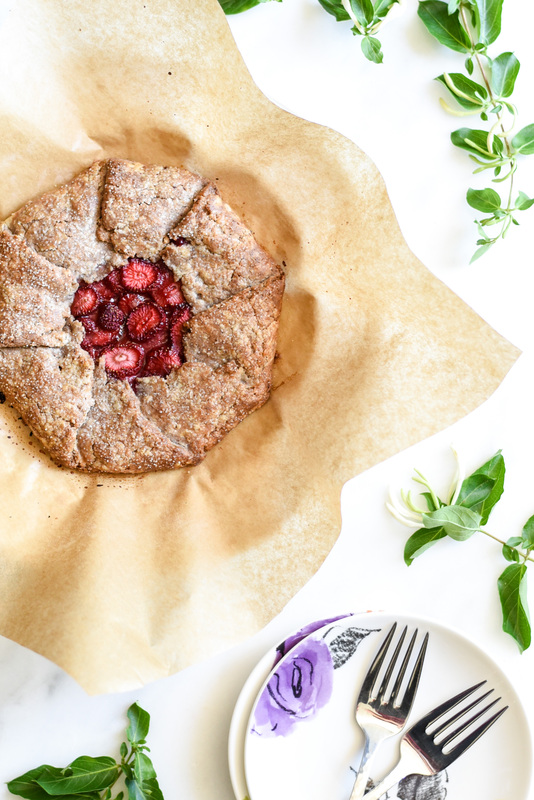 Whole wheat pastry flour or a softer variety of whole grain flour, like red winter wheat or white wheat flour, will have a slightly less grainy texture compared to regular whole wheat flour (try half whole wheat and half all purpose if that’s all you have). Kenan, i use those Pillsbury refrigerated crusts for galettes and must say they’re delicious (I must be related to that person who eats your crusts!). However, I love whole wheat and grainy things so will definitely try that crust for the next galette. I taught my son Wilson to make peach galettes – great in Georgia with fresh peaches. Your blog is wonderful! Thanks. 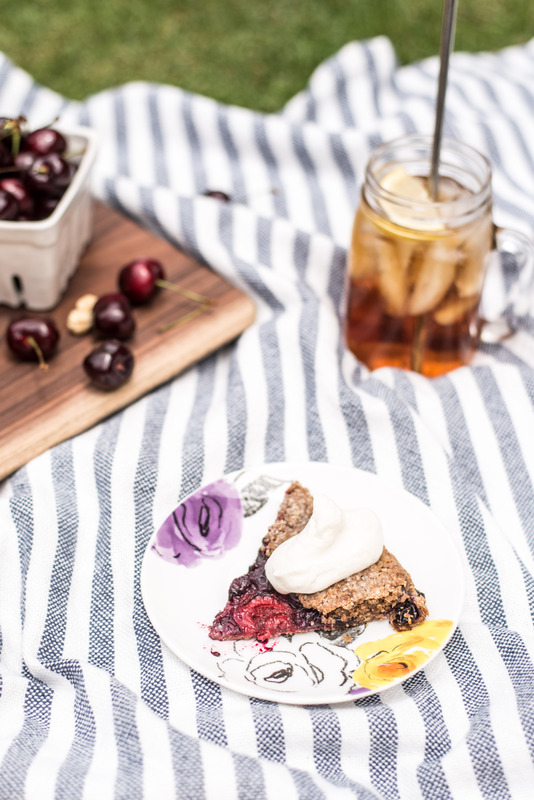 I NEED TO CUT SUGAR WHEREVER I CAN FOR A FAMILY MEMBER … THE CRUST LOOKS TEMPTING WITH THE SUGAR SPRINKLED OVER IT BUT HAVE YOU TRIED IT WITHOUT ? ANY IDEA HOW MUCH THAT WOULD AFFECT THE OUTCOME …………… I`M PROBABLY ALREADY GOING TO CUT BACK THE FILLING SUGAR BY HALF. The crust will be totally fine without the additional sugar! If you’re using ripe, in season fruit, you don’t need much sugar in the filling either. Best of luck!